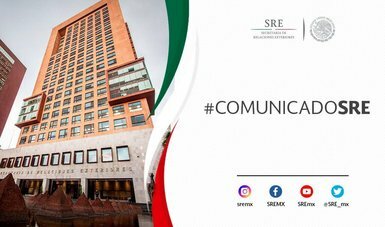 Joint statement SRE-SEGOB.- The Mexican government reiterates that its migration policy is exercised in a sovereign manner and in accordance with the law. This seeks to ensure that migration occurs legally, safely, orderly and with full respect for the rights of people. 1. As expected, the Caravan known as "Viacrucis del Migrante" began its dispersion at the decision of its members. 2. Authorities of the government of Mexico, within the framework of the law and with full respect for human rights, accompanied their participants at all times during their tour of national territory. 3. The desire not to continue with this mobilization was strictly due to the decision of the people who were part of it and not to external or internal pressure. 4. Regarding the foreigners that made up the migrant caravan, the Mexican government has focused its efforts on reporting on the regularization processes and options provided for in the Migration Law; Likewise, the migratory administrative procedures have been initiated to those who manifested this interest (465 people requested exit trades, of which 230 have been delivered). In addition, 168 of them are in the assumptions of law to receive this same notification for regularization purposes, which will be granted in the next few hours. 5. In this regard, the Mexican government reiterates that its migration policy is exercised in a sovereign manner and in accordance with the law. This seeks to ensure that migration occurs legally, safely, orderly and with full respect for the rights of people. 6. It is worth remembering that this caravan has been carried out since 2010 and is mainly integrated by migrants from the Northern Triangle of Central America (Guatemala, Honduras and El Salvador). The Mexican government maintains active the appropriate international mechanisms to better address the migratory phenomenon.